The best software to easily edit your videos with powerful tools. You can easily find so many live streaming software tools over internet but the sad part is that most of these are not compatible with Mac platform. If you are also a Mac user and are searching for a useful solution to enjoy live streaming process then it is good to go ahead with the article below. It contains details about all popular live streaming tools that are compatible with Mac platforms. OBS or Open Broadcaster Studio is well known open source broadcasting tool that works on window, Mac as well as on Linux platform. It offers so many incredible features that make streaming process much interesting for beginners as well as professionals. But one needs to make huge efforts on its basic setup as it is quite complicated. Once your tool gets installed on your device with assistance of some professionals then you can start streaming with ease. It can record live streams with impressive video quality. 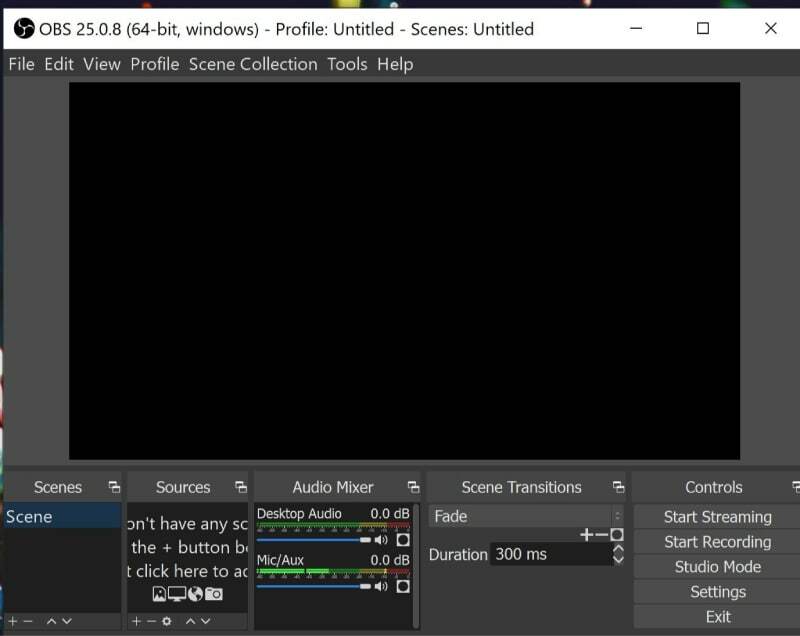 OBS supports unlimited numbers of videos, audios and file sources. For videos, it supports MP4 and FLV format whereas for audios you can access MP3 and AAC. Users can access so many interactive transitions that make videos more eye catching. There are so many filters for special video effects; you will love to use the colour correction tool and chroma key adjustments. Here you can access a built in type audio mixed tool that ensure rich quality of audio information with automatic noise suppression. Wirecast is utilized by most of live streamers and game broadcasters due to its intuitive platform that assists in faster setup with impressive live stream content quality. There are so many tools for advanced customization on both platforms but the pro version is especially designed to serve business grounds with more effective tool set. Unlimited resources can be added including capture cards, IP cameras, webcams, microphones etc. It offers an interesting audio and video sync tool. The twitter integration makes streaming process much easier. You will love to use its chroma key support with classic editing tools like picture in picture, resize, crop and filter etc. One can easily access other IP streams like MMS, HTTP, RTMP and RTSP as a source for Wirecast. It enables instant replay feature. Users love the advanced ISO recording capability of Wirecast pro as it ensures rich content quality for each connected camera. You will be able to access Virtual sets on this platform and further a built in type scoreboard generator is included. CamTwist is a popular free video app for Mac platforms that provides easy access to so many special and original effects. However, this tool demands more efforts for initial setup but once completed then it immediately starts working with most of the useful video chat services like Yahoo! Messenger, Skype etc. The studio section of CamTwist allows users to perform classic mixing with addition of overlays and other creative slideshow elements. The latest update is coupled with approximately 50 new effects and they can assist beginners to develop professional like content even without spending much time on workspace. This application allows users to directly stay connected with live streaming channels. It supports 720p resolution for output and in vase if have an input card then it can function with 1080i level. One can easily scale the results up to 1080p. CamTwist allow easy switching between HDMI and Composites or Component HD. It offers 50 plus interesting built in effects, they care overlays, titles and bullet holes etc. The best thing to know is that users can also develop their own customized effect. Mimolive can be used for connecting multiple cameras to Mac devices via HDMI and SDI adapters. There are lots of tools available inside Mimolive interface and it allows easy editing with operations such as keying, cropping, frame rate adaption, rotating and scaling etc. Users can stay connected to popular social media sites using this platform; the most commonly used networks are twitch chat and Twitter. For live streaming needs, you can directly transfer your content over Wowza, Twitch.tv, Facebook Live and YouTube Live etc. The additional feature is its ability to record content to discs for future needs. Users can directly send data to Final cut pro for execution of post processing functions and one can also save content directly as video file using all popular file formats. You need not to spend time on post production tool as it provides perfectly tailored data. Affordable solution for your routine live streaming needs. It is much easier to learn. Flash Media Live Recorder supports audio as well as video streaming with impressive content quality that suits for business applications. Users must go through the two major benefits of using Adobe live encoder: first of all it supports high quality videos and secondly its deployment task is much easier. This tool works with On2 VP6 encoding and users need not to follow any third party solution to boost quality of streams. It is a custom coded platform with fully featured encoding and acquisition solutions. It is most suitable for recording and broadcasting of live events like political speakers, educational, business, sporting events and other performers. One can easily connect microphones and cameras to this software tool for availing high quality audio video content capture ability. Onsite encoding function is quite interesting. It targets large number of viewers easily due to huge popularity. This tool can be easily configured even by beginners as the flexible deployment environment creates user friendly experience. The best part is that this software tool can be used on Mac, Window as well as Linux platform.